The Testing Group, based in Glendale, CA, rated the best Blu-ray Disc players of 2010 — separating them in three categories which included: Budget Buy, Family Friendly, and Feature Rich. The BD players were voted on audio/video quality, compatibility, user interface, and added features. 35 recently released best selling Blu-ray Discs were used for the testing, and the players were put through some “brutal, realistic testing scenarios…[exposing] even the smallest player flaw.” According to The Testing Group, their tests were more comprehensive than what CNet or Consumer Reports would put the players through. In the Budget Buy category, the Panasonic DMP-BD65 with an average street price of $123 was given the award. The low-priced player provides internet streaming support for Netflix, Amazon Video On Demand, and other services. Audio and picture quality were solid. Downfalls: The player will not support Wi-Fi or 3D. 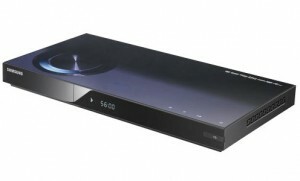 The Family Friendly player award was given to the Sony BDP-S570. With an average price of $214 the player offers built-in Wi-Fi, streaming support, and 3D compatibility. The tests also proved exceptionally fast navigation. The Feature Rich Award went to the $299 Samsung BD-C6900. This player supports Wi-Fi, 3D, and a wide range of streaming services including Netflix, Amazon, Pandora, YouTube, Hulu Plus, Vudu, CinemaNow and Blockbuster. The model also had great DVD upscaling and fast menu load speeds. Thanks to The Testing Group for providing us with some great results. Check out current pricing on these award-winning Blu-ray Players.